Soloing With Open Strings On Guitar Part 3: How To Easily Play Fast Solo Lines And Riffs On Your Guitar! Playing fast solo lines and riffs on your guitar can be made a lot easier to do when there is consistency in what both your picking and fretting hands are doing. In this, the 3rd and final video in a 3 part series on creating solo lines using open strings on your guitar, I am going to show you some very cool sounding sequences and riffs you can use to build upon this technique. In the first video of this series I showed you the very basics on soloing with open strings and pentatonic scale patterns on guitar, in the second video we took this idea a little further with some cool and unique acoustic guitar blues soloing ideas using open strings. I highly recommend you check these videos out first as they are needed to fully understand and gain context to what you will learn in video 3. Together, all 3 videos will provide you with a unique way to solo on your guitar that can also enable you to play very fast lines and riffs if you wish, however this approach also works equally as well at any tempo, slow or fast. In this video I will present to you 3 sequences born from the open string technique that was taught in the first 2 videos. 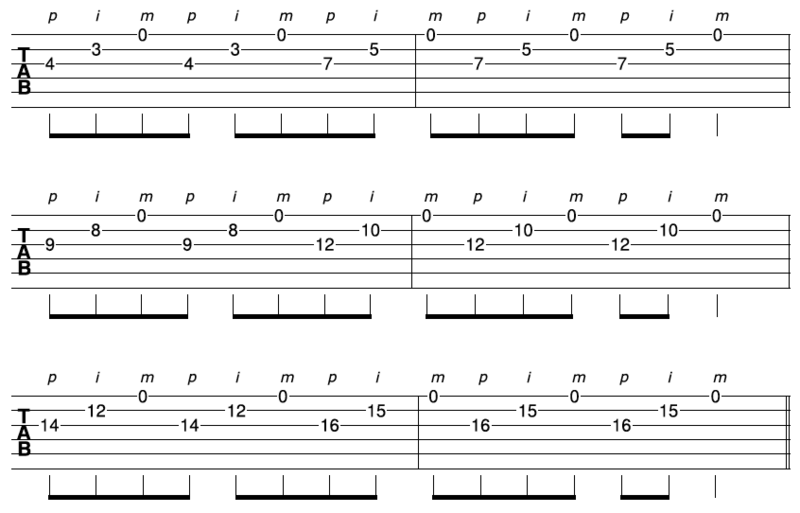 Each sequence will enable you to play fast solo lines up and down the fretboard due to the consistent patterns that both your fretting and picking hands are doing. Here is a brief breakdown of each sequence for your guitar soloing. For more detailed explanations and demonstrations be sure to watch the video. 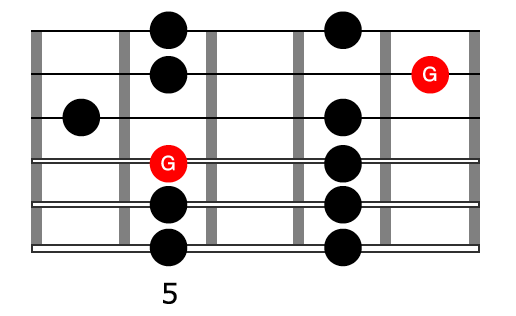 As you will hear in the video this sequence can enable you to play fast on your guitar. The consistency of your picking hand pattern (p, i, p, i) as well as your fretting hand is why this is so. Sequence 2 is a great solo idea that has a little more of an unusual phrasing to it due to the fact that it is a 6 note repeating riff. As a result it doesn’t fall quite as symmetrically across the beat as sequence 1 did. It’s very easy to play this riff fast on your guitar due to the forward banjo roll and legato elements. Considering that a large majority of the open string technique that has been covered in this series is based on the banjo roll, I thought it would be fitting to give you an actual banjo roll riff.